Product #21833 | SKU NP3X-BAG | 0.0 (no ratings yet) Thanks for your rating! The 1/4" Professional Phone Plugs, X-Series from Neutrik is manufactured with contacts and a black shell. This heavy duty X-series improves on the design of the C series by offering a thinner A-gauge 1/4" plug with unique Neutrik chuck type strain relief. The slimline shell with a width of 14.5mm meets the requirements for highest density jackfields (15.88mm jack pitch). 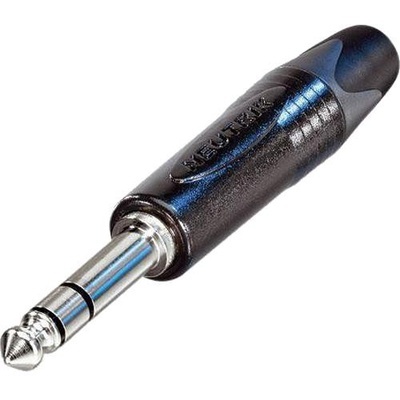 The precise machined one-piece tip contact without rivets avoids hook up in a socket or break off the tip. The Plug X Series serves all applications such as guitar applications, audio cables, snakes, speakers, amplifiers and mixing desks.